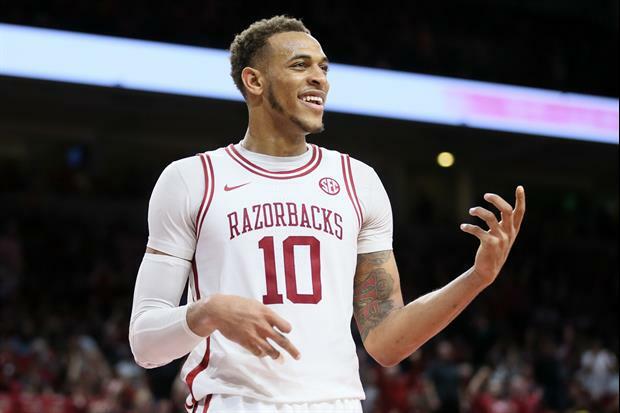 Arkansas head coach Mike Anderson announced Monday that sophomore forward Daniel Gafford has declared for the NBA Draft and will skip the Razorbacks' NIT postseason. Gafford led Arkansas in scoring (16.9ppg) and rebounding (8.7rpg) this season. Arkansas plays at Providence on Tuesday at 8 p.m. on ESPN2. What a slap in the face to his teammates and the ARK program. Must be ready to get that agent advance$$. Kids dont give a shite about winning anymore. They care about their Instagram and followers. Winning the NIT is equivalent to Kyle Busch bragging about being the best driver in the XFinity series of NASCAR. Good for Gafford. Good for him??? For screwing over his teammates? And basketball isn't like football, where the risk of a serious injury is MUCH higher. Boo on Gafford for this. It's the NIT, the rest of the team doesn't give a shite about it anyway. That's America today. We didn't get the results we want so let's just quit as soon as we can get out.